Nannette resides in Herrin with her husband, Brandon, and three children, Kagney, Adam and Leryn. Nannette worked as the Advocate Supervisor for CASA from 2007-2011 then took a child welfare specialist position with a local child welfare service agency. There she learned DCFS policies and procedures pertaining to placement cases and licensing policies. Nannette has a degree in paralegal studies and has worked in legal offices involving various types of law. Nannette is excited to be "back home" with CASA and is looking forward to supporting our local children alongside Jennifer, Lisa and our CASAs. 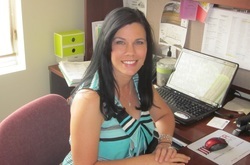 Jennifer started with CASA in April of 2011, after being an active advocate for over three years. Jennifer and her husband, Kenny, have two children: son, Keegan, and daughter, Avery. She is a life-long resident of Williamson County and comes to us with a degree in office administration with many years' experience as a legal secr﻿﻿etary. 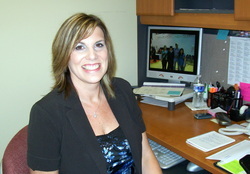 Jennifer enjoys reading and participating in her children's many sports and outdoor activities﻿﻿. Lisa started with CASA as an active advocate beginning in 2007 and served on the Board of Directors from 2010 until 2014 when she accepted a part-time position within the office as an Advocate Supervisor to assist with the growing number of cases and CASAs. Lisa lives in Marion with her husband, Doug. Lisa has two sons, Dylan and Ethan, daughter-in-law, Melanie and new grandson, Owen. Lisa has an extensive business background, working behind the scenes in their family owned and operated construction company as well as managing multiple rental properties. Lisa enjoys many outdoor activities, including snow skiing, camping, and scuba diving.